Git and Mercurial have been popular DVCS technologies for many years. Portals like GitHub make Git, in particular, the default choice for SCM/SVC/source-control. While the Linux Kernel is maintained with Git, and definitely takes advantage of the D-Distributed aspect of the DVCS of Git (in that many divergent versions of kernel can exist over long periods of time), most enterprises are still going to count a single repository as the principal one, and within that a single branch as the long-term “most valuable” code line. It is perfectly possible to do Trunk-Based Development in a Git repository. By convention ‘master’ is the long term most valuable branch, and once cloned to your local workstation, the repository gains a nickname of ‘origin’. An effective Trunk-Based Development strategy, for Git, depends on the developer maintaining a fork of the origin (and of master within), and Pull-Requests being the place that ready to merge commits are code reviewed, before being consumed back into origin:master. Other branching models use the same Pull-Request process for code-reviews too - it is the normal way of working with Git since GitHub rolled out the feature. Historically, Git and Mercurial were not great at maintaining a zipped history size greater that 1GB. Many teams have reported that they have a repository size larger than that, so opinions differ. One way that you can reach that 1GB ceiling quickly is with larger binaries. As Git keeps history in the zipped repository, even a single larger binary that changes frequently can push the total use above 1GB. With the likes of correctly configured Git-LFS extension to Git, though, the 1GB limit can be avoided or delayed many years. Git also has Submodules and Subtrees to allow large federations of modules, within one cloneable set. For their Android initiative, Google made Git-repo too. It’ll be clear later why we mention this, but Git and Mercurial maintain branches from the root folder of the checkout clone, and maintains a single permission for a user in respect of read and/or write on the branch and/or repository. There is a suggestion that Mercurial is receiving contributions that will allow it to push into the very repository territory the likes of Google needs. Git and Mercurial don’t have branch or directory permissions, but some of the platforms that bundle them, add branch permissions. He had started making it two years before, and it is now the #1 VCS choice. Google had been running their Monorepo style Trunk for a few years at this point, without regret. Some Googlers would later extend their Perforce (see below) setup to allow Git operation of local branches on developer workstations. Perforce is a closed-source, industrial strength VCS. Pixar stores everything needed to make a movie in it, and Adidas store all their designs in it. Until 2012, Google had their Trunk and many tens of terabytes of history in it. They moved off it to an in-house solution as they outgrew it. Perforce is peculiar in that its ‘p4d’ (a single server-side executable binary file) is the whole server and does not need to be installed - just executed. Perforce is the last VCS technology that ordinarily maintains the read-only bit on the developer workstation. You definitely need a plugin for your IDE to handle the wire operations with the server, so you are not confronted with the fact that source files are read-only. Because the Perforce (p4) client having to involve the server for the flipping of read-only bits in respect of editing source files, it requires a permanent connection to the server. What that facilitates is the speed of operation for very large sets of files on the client. The Perforce server already knows what files need to have updated in your working copy, ahead of you doing ‘p4 sync’ operation. 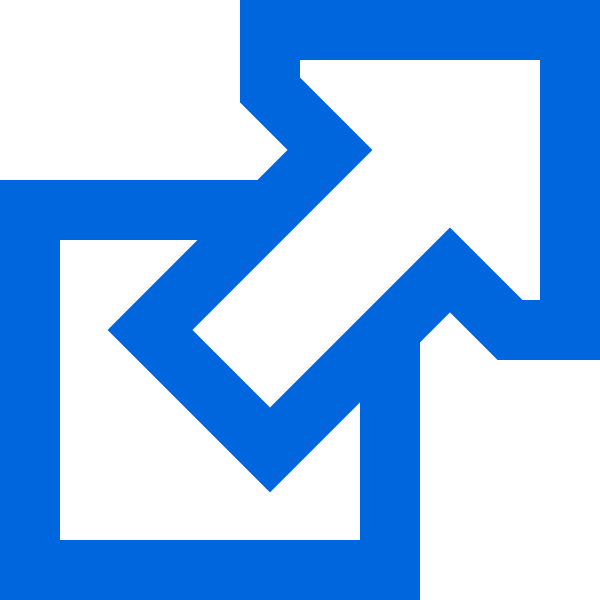 It negates the need for a directory traversal looking for locally changed files, and it means the sync operation can be limited to a second or two. Historically Perforce was not able to locally show the history of the files within it. It needed that server connection again for history operations. A number of DVCS capabilities in newer versions of Perforce (see below) allow local history now, though. Perforce allows branches to be set up at any sub-directory, not just the root one. It also allows read and/or write permissions to be specified at any directory (or branch) within large and small source trees. Perforce does not have code-review features integrated into its traditional server daemon. By customizing a modified Gitlab called GitSwarm ‘side install’, Perforce now has a code review capability. It also has it with an alternate side-install called just Swarm (a slightly older product), that does not offer the Git capability of GitSwarm, but does add in much of the team-ware features like code review. There’s a VM appliance from the Perforce people, that can sit in your infrastructure and mediate between the vanilla Perforce server, and your wish to use a pure Git workflow on your development workstation. With a Git Fusion clone from a Perforce repository, and client spec was specified, you get the subsetted representation of the source tree, complete with history. That’s a neat feature. Things checked out through Git Fusion also are not encumbered by the read-only bit feature. P4-git is very similar to the Git Fusion technology but is not made by the Perforce people themselves. It also does not require the launching of second server appliance (as Git Fusion does). In 2015, the perforce technologies were extended to include custom DVCS features. All the features of p4-git but without the Git compatibility. As for Git Fusion, things checked out through p4-git and p4-dvcs are not encumbered by the read-only bit control of p4d. Subversion (Svn) has been in development for 16 years and was a sorely needed open-source replacement for CVS. It chases some of the features of Perforce but is developed quite slowly. Nobody has pushed Subversion to the Perforce usage levels, but that is claimed as a possibility. Subversion, like Perforce, has read and write permissions down to the directory and branch. Interestingly there is a “Subversion vs Git” website which attempts to counter some widely held community beliefs about Subversion and how it stacks up to Git. Note also that the Subversion team themselves, do not do Trunk-Based Development, despite Subversion have default root directories of ‘trunk’, ‘tags’ and ‘branches’ for newly-created repositories. Note that Subversion has no local branching capability, and to get code review you need to install third-party servers along side it. Or, a better choice, use a platform that integrates code review like those below. There is an extension to Git that allows it to deal with a Subversion backend. A Git-subversion clone has all the local history, local-branching possibilities of Git. The local branching possibilities afforded by this mode of operation are very handy, and it should work easily with whatever Svn hosting platform you installed. Note: That clone from subversion can be many tens of times slower, than the equivalent clone from Git, because it is recreating the zipped Git history on the client-side as in uses the classic Subversion wire protocol, which is more chatty. Indeed the initial clone of years of commits for a reasonably sized team can take many hours. Various Collabnet products and services. Microsoft launched TFS in the mid-2000’s with a custom VCS technology “TFVC”. It is said that they have an internal ‘SourceDepot’ tool that is a special version of Perforce compiled for them in the nineties, and that TFS reflects some of the ways of working of that technology. It has grown to be a multifaceted server platform. Perhaps even a one-stop shop for the whole enterprise’s needs for application lifecycle management. More recently with TFS, Microsoft encouraged a use of Git within it, rather than then proprietary VCS they initially developed. TFS is perfectly compatible with a Trunk-Based Development usage. Note: Microsoft are donating back to the Git community with a Git Virtual File System, which allows some Monorepo usage for Git . PlasticSCM is a modern DVCS like Git and Mercurial, but closed-source. It is compatible with Trunk-Based Development and quite self-contained (has integrated code review, etc). Plastic is very good with bigger binaries and comes with an intuitive “Branch Explorer” to see the evolution of branches, view diffs, execute merges, etc. For sizes of individual repositories, multiple terabytes is not unheard of. A least for some of the games-industry customers. It is also the first modern VCS to have semantic merge - it understands select programming languages and the refactorings developers perform on them. For example “move method”, where that method is 50 lines long, is not 50 lines added and 50 deleted in one commit, it is a much more exact and terse diff representation. Plastic even calmly handles a situation where one developer moves a method within a source, and another simultaneously changes the contents of the method in its former location. Plastic does not consider that a clash at all, and just does the merge quietly - the method moves and is changed in its new location.